Known as the sunshine state, Florida experiences an almost year-round sunshine and warm weather making it an ideal vacation destination for people from all parts of the globe. This is the perfect place to escape the winter blues and breathe in the fresh ocean air. Of course, residents of Florida would never be left behind in terms of enjoying the summer weather throughout the year. As a matter of fact, a poll conducted in 2010 revealed that an estimated 39% of all residential properties have in-ground pools. Florida has strict laws on pool construction. But even if you comply with these laws and take proper care of your pool, there will come a time that pool renovation will be needed. Constant use and extreme weather conditions will eventually take a toll on your swimming pool. Common signs include small cracks, chipping, leaks and hollow spots. Once these are noticeable, pool renovation is needed. Aside from the common signs of aging, pool renovation is also necessary to replace outdated pool materials. For example, damaged coping must be replaced immediately. Replacing old coping will also help improve the aesthetics of the pool. Smooth tiles are telltale signs of aging and replacing them will free you from worries regarding everyone's safety. The warm climate in Florida can also lead to tile cracking. This may cause trip injuries or cuts if not immediately dealt with. Pool renovations are not only resorted to in order to answer security and safety issues. There are some homeowners who wish to downsize the pool or extend its length or width. Some may even opt to add a fountain or even a Jacuzzi to serve as an additional relaxing area. Adding new pool lightings is also a common task in pool improvements. But before you proceed to a major pool remodeling project, ensure that it will be handled by an experienced contractor. Pool renovation is not an easy task hence you need the help of a professional. 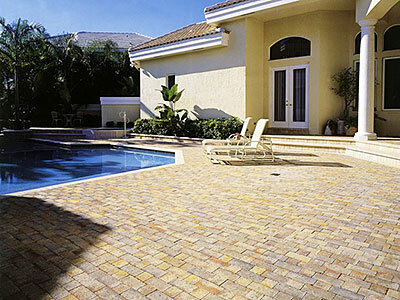 Residents of Broward, Dade County, and Palm Beach should not worry because National Brick Pavers can help in any kind of pool renovation project. We do it systematically to avoid costly repairs and renovations. We will assess the needs and the current problems of your pool. Based from the assessment, our team will recommend appropriate solutions to ensure a successful renovation. 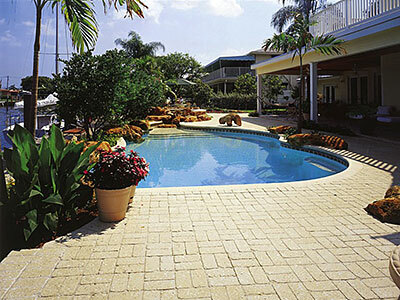 Pool renovation is one of the specialties of National Brick Pavers. We do not just create stunning pool decks or install durable pavers. We can also revive an old pool and make it the next attraction in your outdoor area. Your pool needs utmost care just like the other elements in the landscape. The use of the best pool materials and regular maintenance will ensure safety and better outdoor living experience. As a reliable contractor for pool renovation, National Brick Pavers only chooses to use only industry standard materials. We supply all the necessary materials for pool renovation from pavers to coping. We also install Diamond Brite. No need to look for other installers since we have skilled personnel who can do the job.